As an avid Twitter-er, I rarely post on Facebook. My go-to Facebook activity is “liking” my husband’s posted photos of our kids. So I was surprised to notice recently that I had been added to a “secret” Facebook group called Physician Mom Group (PMG), mentioned during Mark Zuckerberg’s online discussion about Facebook’s self-proclaimed “Friends Day” celebrated on February 4 (fast-forward to 6:25 in the video to hear the PMG shout-out). I entered a new community of over 50,000 physician-moms sharing their lives. They connected through their challenges and triumphs, ranging from signing a job contract to learning which mortgage broker to use, starting a petition to standardize maternity leave for trainees to recommending which crockpot to buy on Amazon. As an aside, the group's “secret” status means that the Facebook group is only visible to individuals who have been added by a current PMG member and approved by the PMG administrator. All of the content posted in the group remains private; therefore, I obtained permission to share these stories. 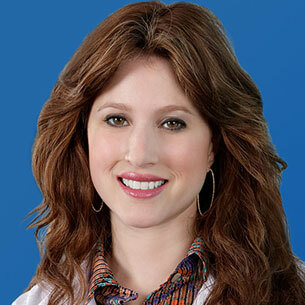 PMG was started by Dr. Hala Sabry, an emergency medicine physician and mom of three. She shared her story with me*: After a difficult road utilizing in vitro fertilization, she was expecting twins. She was looking for a forum to post questions, including future childcare arrangement recommendations given her busy hospital work schedule. Dr. Sabry realized that every Facebook group she belonged to wouldn’t truly understand her challenges. In her words, “As all physicians are, I am used to being a resource for help for others but I struggled with knowing where to look for support when I needed help.” That night, she emailed 20 women who were both moms and physicians, and asked if they would want to participate in a Facebook group; all answered affirmatively. In one week, the “secret” group grew to 1,000 members. In one month, the group contained 3,000 members. In one year, the group expanded to 40,000 members. PMG-er’s (as the members prefer to call themselves) share on this platform for many reasons. Some use it for professional networking, child-rearing recommendations, or drive-by informal medical opinions. I appreciate PMG so much because it’s a place where I’ve learned that empathy shouldn’t be reserved only for patients. As physicians and individuals, we need to give and accept support from our fellow colleagues. Think about it: Where else could a physician share a moment of frustration or achievement with 50,000 colleagues, and receive immediate feedback including 2,000 likes and hundreds of supportive comments? This is the unique platform of PMG. I felt an incredible amount of appreciation from the simple expression of gratitude for the medical care a loved one received. As an oncologist, it’s hard to know when one is doing the "right thing." Some of the most challenging oncologic cases are elderly patients, who may not tolerate aggressive treatments. We weigh the risks and benefits of the disease against the potential treatment side effects. As a family member and physician, this anesthesiologist truly understood the shared challenges both she and the medical community undertook in caring for her grandmother. I felt lucky to have learned of their story; I know now that gratitude and empathy are immeasurable, especially for each other. *Permission was requested from and granted by Dr. Sabry, Dr. Cashman Keech, and PMG to share these stories.